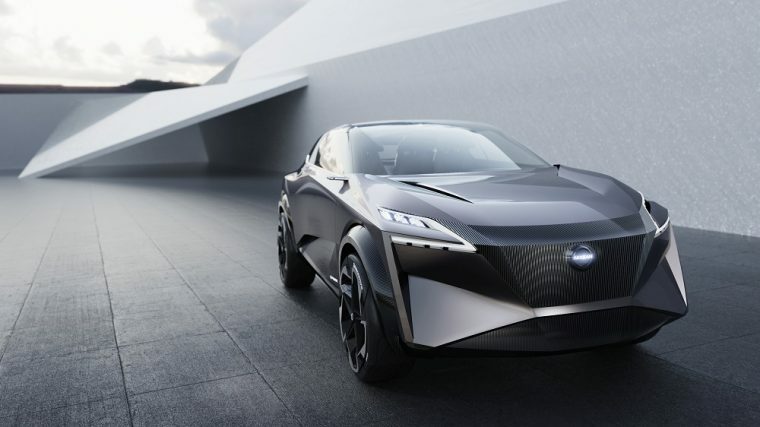 At the 2019 Geneva Motor Show this month, Nissan brought brand-new crossover called the IMQ Concept Vehicle. As the name implies, it will not head to production anytime soon, but its contours and technology might pop up soon in new Nissan models. 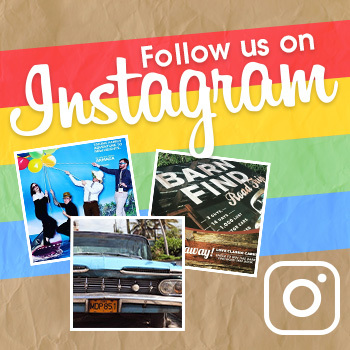 To see it from different angles and sneak a peek inside, check out our gallery. 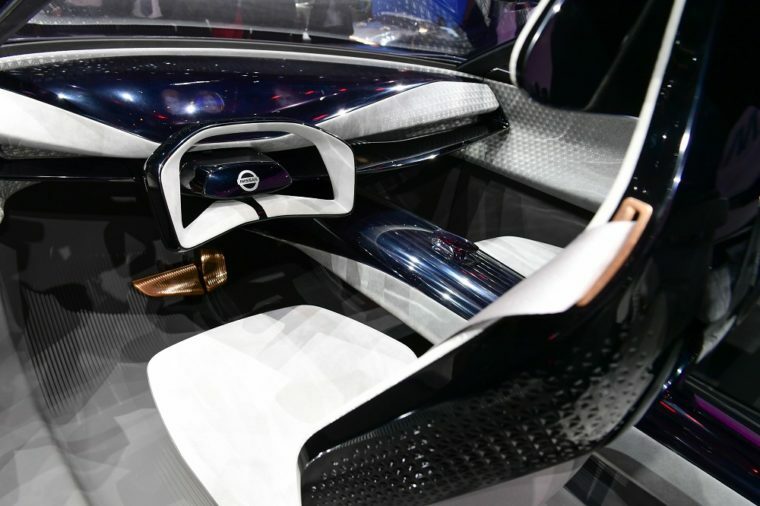 According to Nissan, the new IMQ concept blends today’s technology with its Japanese heritage. The exterior has three-dimensional ridges on its lower panels. They are called lamellas and harken back to techniques Japan used in its ancient armor. Another notable exterior feature is the pronounced front end of the vehicle with the latest evolution of Nissan’s V-motion grille. Before now, the V shape was a pronounced chrome shape, but the concept’s new design makes it more subtle. 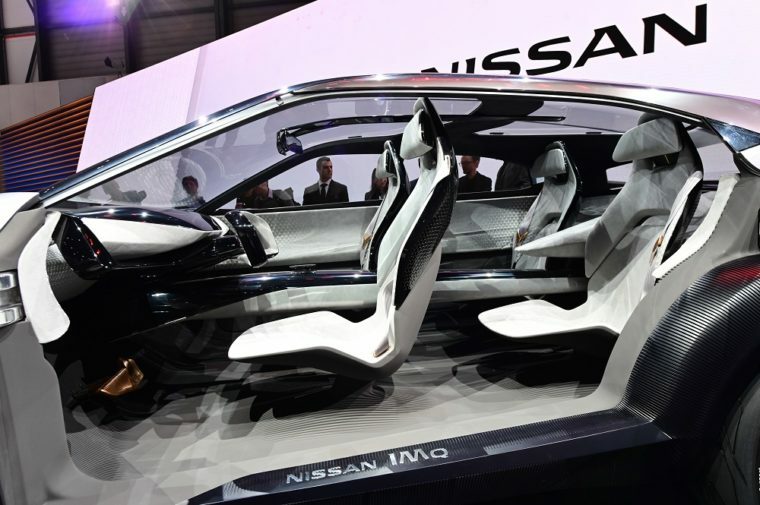 To get inside the IMQ Concept, you open the doors like a balcony for full and easy access to the cabin. More lamellas cover the floor, the door trim, and act as headrest supports. The four seats are upholstered with a two-tone 3D technical fabric in a geometric design that imitates traditional Japanese kumiko woodwork. The Nissan IMQ is structurally beautiful, but its technology is even better. It utilizes a new generation of e-POWER electric motor drive system. The current e-POWER configuration powers Japan’s Nissan Serena and Nissan Note vehicles. If you ever get to drive the Nissan IMQ, you’ll be able to experience the new Invisible-to-Visible technology 3D interface. Its Virtual Personal Assistant will help you control essential vehicle functions, like navigation. 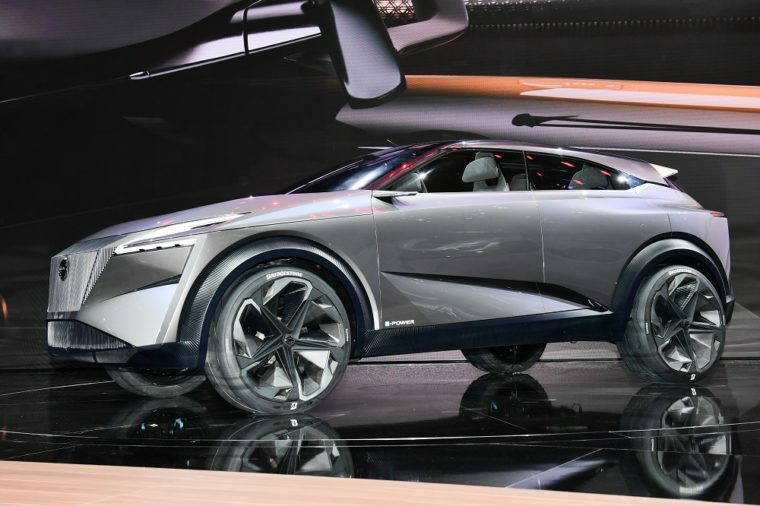 Even if the Nissan IMQ only shows up at auto shows, it’s hard to deny that it’s a cool car. We can’t wait to see some of its technology in new crossovers.